Transportation has the highest carbon footprint! Careful consideration should be giving to how participants will travel to the venue. The Association of Independent Festivals (AIF) research in 2012 showed 25% audience travel with 2 or less in a car. Bonnaroo rideshare program resulted in 397 ride requests, 726 ride offers, 107,000 total miles posted on the road board, 825 pounds of CO2 savings, and an estimated 44,500 vehicle miles removed from the road. Quebec City Summer Festival has artists attending from the corners of the world, which equaled travel 6 times the distance from the Earth to the moon. A festival sponsor offered a free bike parking lot right near the Quebec City Summer Festival and over 4,000 people used it in 2014. Over 50% of Glastonbury Festival’s CO2 total emissions come from how ‘you’ the festivalgoer make your way to the site. Splore Festival introduced the Parking Pass in 2014 achieving a 25% reduction in the number vehicles on site. The Parking Pass rewards carpooling and provides funds for affordable alternative transport. The Toronto Bicycle Music Festival is a yearly series of free outdoor pedal-powered concerts taking place in and between the city’s great community parks and streets. Tune Your Ride is a company that provides a bike trailer stage with music powered by a car battery, and charged with pedal power. This company brings the electricity generating bicycle rig, PA, and experienced sound and bicycle technicians to this event providing this very unique form of energy! 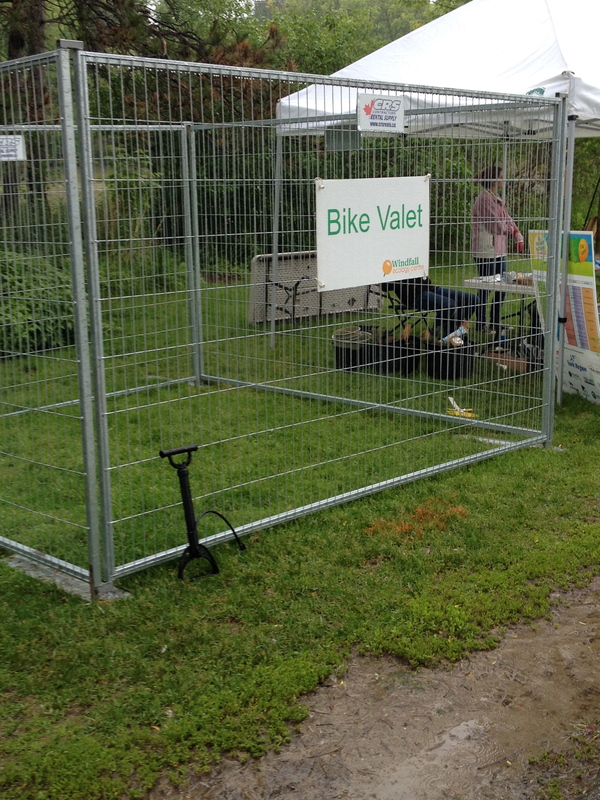 In 2015 the Windfall Ecology Festival had a secure, locked up bike area that festival visitors could leave their bikes at for free. The initiative was clearly promoted on the website and obvious when attending the festival. This was a great way to encourage people to bike to the festival and reduce the impact caused by transportation to and from the festival. Festivalgoers have to pay a fee to park in the festival’s parking areas. But for those who drive to the festival with four other people in their vehicle, free Fair Trade Coffee is given to each passenger. Those who ride bikes can leave their trusty transporters in the festival’s supervised bike park. In 2012 30 people biked to the festival from all over, including Vienna, Barcelona, Berlin, Rome and more. To support all the bikers, Boom Festival has created the Boom by Bike Initiative that is essentially a support network with travels tips and useful information collected from bikers who have previously journeyed to Boom. As part of the Initiative we will be offering 10 festival tickets to bikers that collect video footage and photos of their journey to promote this beautiful initiative led by Boomers. 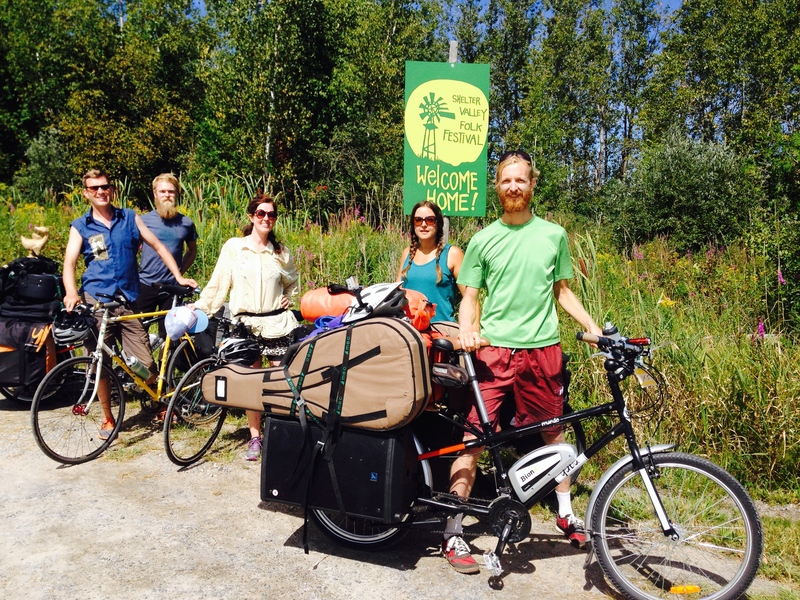 Mariposa Folk Festival encourages sustainable transport. One way they do this, is by providing a free shuttle bus. 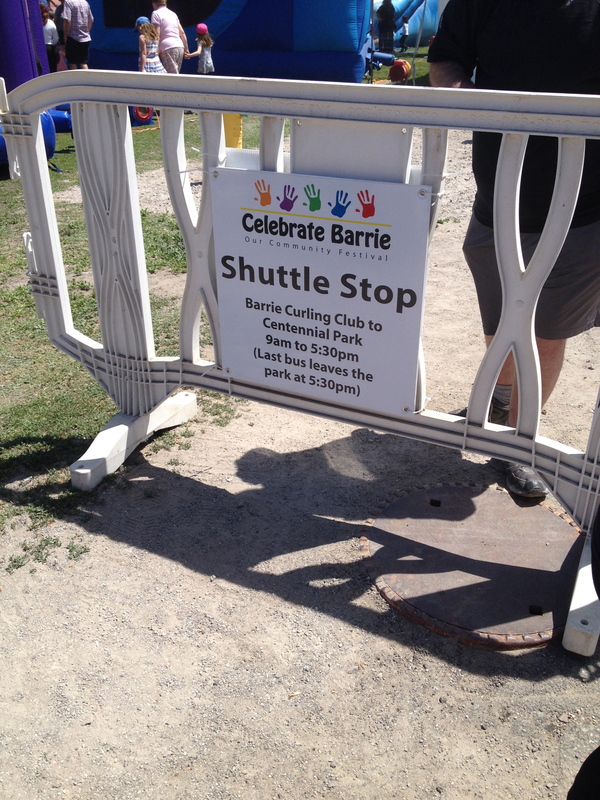 The shuttle bus schedule is easily accessible on the festival website, and gives festival goers many options to get the festival while leaving their cars at home. Buses run from 9am in the morning until late into the night with the last bus leaving at 1:15am! Golf carts are re-engineered to run off sustainable energy including solar, wind, biodiesel, ethanol and more. Each golf cart is designed to match a different Coachella band. The goal for the 2008 Harvest Jazz and Blues festival was to reduce 32 tonnes of Greenhouse gas emissions produced in connection with the 2007 festival. The organizers of this festival implemented green initiatives in the office as well as on the festival site. In the office these include: eliminating plastic bags, replacing all light bulbs with energy efficient ones, paperless meetings, recycling, energy audit etc. The festival has teamed up with Sustrans (charity supporting cycling) to encourage people to cycle to Shambala. This initiative combines a commitment to encourage low-impact (and fun) ways to travel to the event, and Sustrans unquenchable enthusiasm for cycling! As a little incentive all cyclists will get a free Shambala programme and a discount on massages two days. Also, there is subsidised coach travel from 6 cities (to reduce travel carbon emissions and FREE biofuel shuttle bus from local public transport links. Hot Docs partners with Curbside Cycle to provide all attendees discounts on bike rentals used for moving between festival venues. 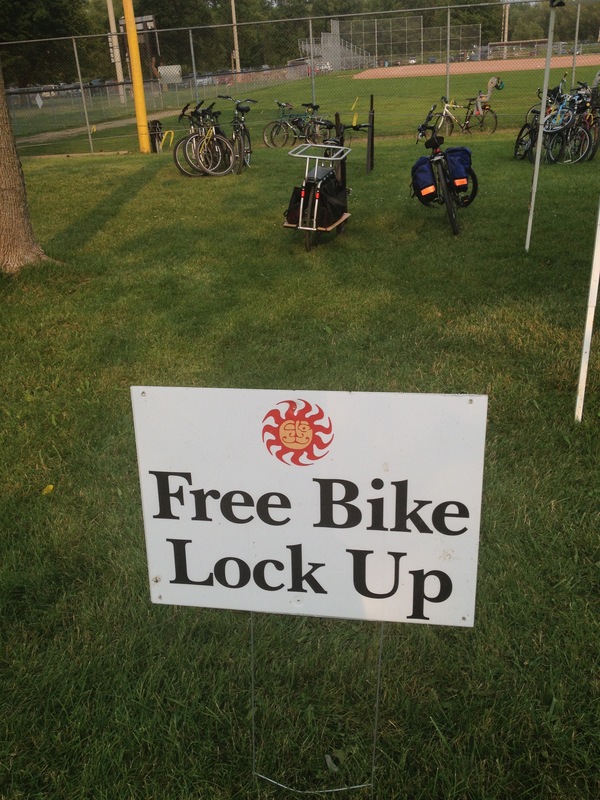 Mariposa Folk Festival provides free bike parking for any event attendee that rides their bike to the festival. In 2015 festival goers using this bike parking were surveyed to learn more about their choices and behaviours. 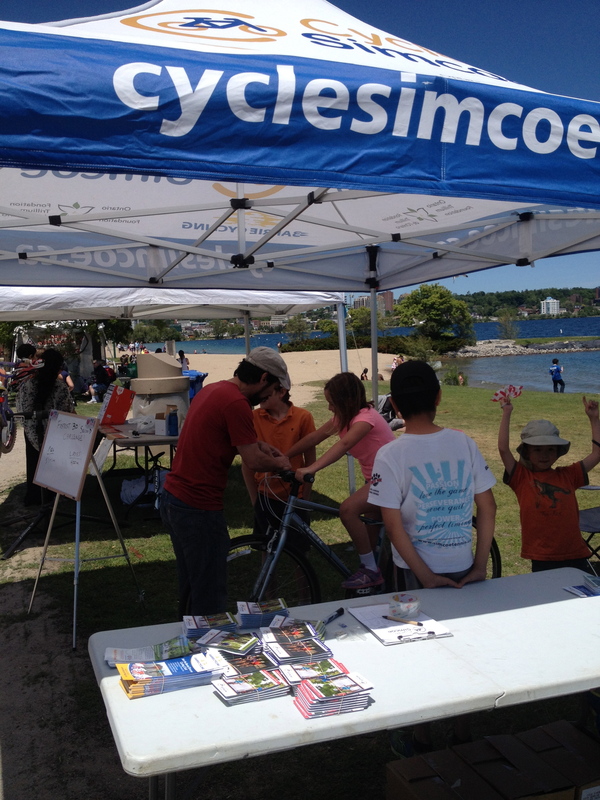 Research showed that 41.2% of the cyclists chose to bike in order to contribute to the festival’s greening efforts! There is a free shuttle bus running every thirty minutes on the Saturday of the festival that encourages people to visit the festival but leave their vehicles parked at home. In order to monitor the carbon footprint, festivalgoers are asked to fill out a transport survey which will then help organizers decide on future transport initiatives. Say you’re a keen cyclist, but you would need someone to carry your luggage…tell Island Vibe on the survey. Our ‘Travel Carbon Fund’ is made up of donations from car and camper pass buyers who choose to make a small donation when buying tickets. The rationale is that the festival must accept that attendees are making the journey to and from the festival, and that we can do something positive to account for it. The find is used focus on a carbon-free future through wind energy.